With over three years of working experience in one of the largest tuna fishing companies in the world, chef /owner James definitely knows what fresh fish is. James spent his career and developed his skills mostly in east cost from Vermont to NYC to New Orleans. He spent four years working as the executive sushi chef at Sake Café on Magazine Street, the best sushi place in New Orleans. He was invited to the local radio station for a live sushi making demonstrating show and also attended Jazz Festival twice for live sushi making shows. James also showed up in the movie “Failure to Launch”, in which Sarah Jessica Parker and Matthew McConaughey shared the beautiful plate of sushi made by James. James and his staff want to create a relaxed and unforgettable dining experience. 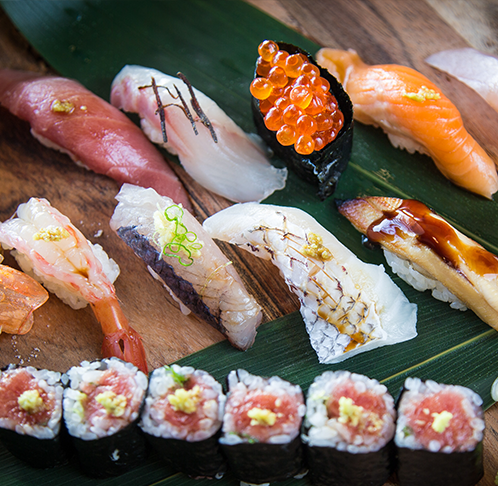 By sourcing the very best ingredients globally using Japanese techniques we hope to delight showcase Long Islanders amazing Japanese cuisine. You may feel James’ passion towards his dream restaurant once you enter the door. James wants to make dishes that give people pleasure, not just to fill the stomach. Sushi Ko is the first restaurant in the area to introduce the healthier, Black Rice and Shirataki Noodle. We are the first Sushi Restaurant on Long Island to offer the largest variety of low-carb (now rice) rolls. 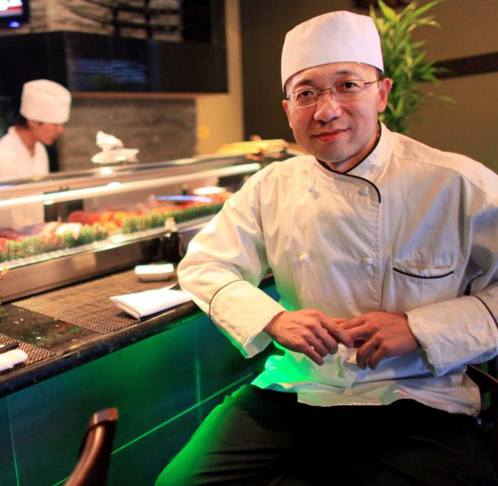 At Sushi Ko, James and his staff will make sure all of their customers have a healthy, pleasant dining experience. What is Black Rice, and it's health benefits? Black rice has also been known to promote the following benefits: weight loss; anti-aging; prevention of cancer, diabetes, heart disease and Alzheimer’s disease; lowering cholesterol; enhancing digestive function; controlling blood pressure; good for anemia. What is Shirataki Noodles, and it's health benefits? ** The miracle noodle shirataki which contains 0 net carbohydrates, 0 calories, 0 glueten is made of a healthy natural water soluble fiber called Glucomannan with no fat, sugar, or starch. It has shown beneficial effects backed by medical studies for Type II Diabetes, Constipation, Obesity, and Cholesterol. It has been known and eaten in Asia for over 2000 years and hasalways been viewed as a healthy addition to your diet. Omakase sushi essentially offers the chef’s choice based on what best represent his skills while using the freshest seafood available today. Nigiri sushi is usually glazed with special soy sauce or sea salt and yuzu /lemon juice, so that you can taste the fresh natural flavors of our seafood.